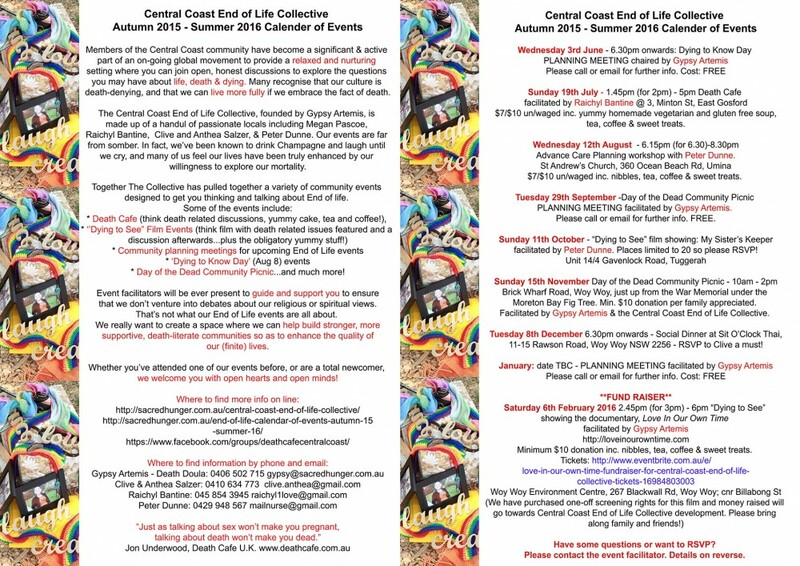 The Central Coast End of Life Collective provides regular end of life events for the community in which they live. 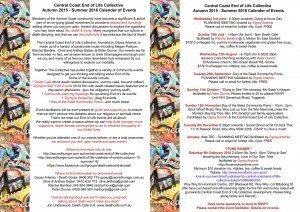 I am pleased to say that we are well into our second year as a “Collective”, and we’ve been working hard to pull together 9 months worth of community events, just for you! Tickets and donations for our February event, the screening of Love in Our Own Time, can be found here.